I bought this November 1999 and had the engine running by early Decemeber after it had sat for 6 years. 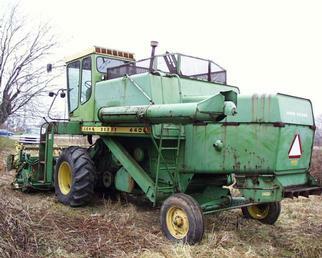 An article 'The Revival of a John Deere Combine' is in the article archives at YTMAG. Currently my plans are to ship the combine to the farm during the summer. I am short on funds so it may be 2001 before I have it field ready. This project WILL be a challenge unless I decide to junk it or trade it.